Nokia considering tablets ahead of MWC? 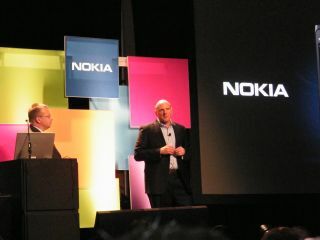 Nokia's CEO, Stephen Elop, has hinted at the arrival of Nokia tablets in an interview with TechRadar during CES in Las Vegas. The Finnish manufacturer is yet to follow its competitors into the tablet battle, buts as the market continues to grow for touchscreen slates, Nokia will not want to miss out on a slice of the pie. During the interview Elop talked up Microsoft's Metro user interface for Windows 8, noting the use of live tiles can appeal across the spectrum of technology. He goes on to say that Nokia is accessing the opportunities in the market and is looking to take a different angle compared to current tablets, saying "can we be different, can we do something and if so that would be interesting". Elop made it known that Nokia is focussing on the low end mobile market, not chasing the quad-core brigade of HTC & Co: "You don't need a quad-core phone unless you want to keep your hands warm in your pocket", he quipped. "There are people in the world who are less willing or unable to spend a certain amount on the device. Clearly we're going to have to serve them in a different way." Nokia is aiming to produce affordable phones which draw on its vast experience of making quality handsets to provide customers with a desirable and functional mobile, while deviating from the norm and creating different and exciting new products. TechRadar will be keeping an eye on the Nokia stand at MWC at the end of February to see if it delivers on the CEO's words.